Headaches are a condition that we have all experienced at some time. In its milder forms, caused by stress or lifestyles, we can use some natural remedies to remove the annoying headaches. Probably the headaches are one of the evils that nearly everyone finds difficult to maintain in the daily task. Several times a year, we are afflicted by a headache that disturbs our routines. However, there are homemade remedy that can help you to put an end to this discomfort and remove the headaches. In this article, we bring you how to get rid of a headache without medicine, a home remedy. The headache is one of the most common health disorders. It is an inflammation on the inside of the skull, which in most cases is caused by excessive tension, lack of sleep or depressive states. In other cases, it is caused by disorders of the vascular system. The dilation of blood vessels produces an internal pressure that results in annoying headaches. 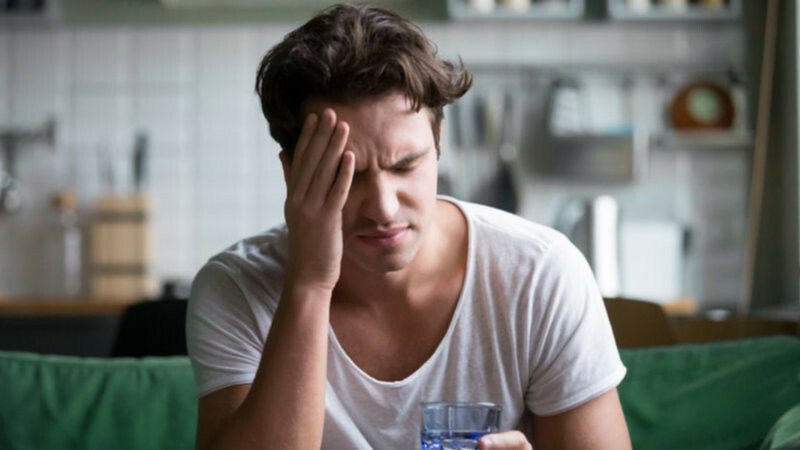 There are many different types of this type of discomfort, from simple headaches to more complex migraines, in which the pain can be prolonged or pulsatile, accompanied by other symptoms such as sensitivity to light, in the most severe cases. However, on a day-to-day basis, minor pain may appear due to factors such as stress, pollution or certain habits. For this, there are some effective remedies to remove the headache. What to do to relieve the headache? A relaxing bath will help us remove the stress of the day. Taking a bath a bath will always be a very appropriate strategy to eliminate tension. As the headache is caused by excessive stress, this may be enough to eliminate it. If we also apply oils of natural origin, aromatherapy can be effective to remove headache and other manifestations. Fill the tub with warm water and add the aromatic salts. Immerse yourself in it and remain with the body at rest for 30 minutes. Its infusion is soothing and has been beneficial in relieving certain migraine symptoms. It is also used ease anxiety, relieve stomach upset, and help with problem sleeping. The anti-inflammatory property in chamomile tea is a reason as a great pain reliever for migraine headaches and tension. A chamomile tea seems to be an effective remedy for almost anything. It is famous for its properties to relieve stomach pain, but it is very effective to remove the headache. Heat the water until it reaches its boiling point. Add the chamomile and leave a few minutes. Strain and serve in a cup to which sugar is added to taste. A head massage allows to release muscle tension, as well as to calm the stimulation of the blood vessels. Having a head massage to release tension is one of the most effective alternatives to remove headaches. Pressing certain points on the surface of the skull can make the discomfort disappear. This, especially, if the massage is made with lavender oil. Massage gently and continuously. This should be done by drawing species of circles on the temples parts, the forehead, the eyebrows, the cheekbones and the crown. Alternate this movement with that of exerting a pressure on these points and take turns with restful movements. Among its many benefits, it helps to calm the tension, so it can help to remove headaches. Although this remedy may be a little unpleasant to you, it is one of those that can produce the most immediate effects. Eating small portions of apple cider vinegar can quickly ruin your headache. Add a tablespoon of apple cider vinegar in at least three glasses of water during the day. Ensure that the water is at room temperature, since too cold water could generate more tension in the head. Watermelon and any cold source can be used to remove headaches caused by heat. In many cases, headaches are associated with high body temperatures detonated by heat. In this sense, it is advisable to refresh your whole-brain area with cold watermelon poultices. Remove the shell of the watermelon. Chop in thin layers and cool in the refrigerator. Apply them on the forehead, cheekbones and temples for about 20 minutes. The pressure in the head is not something that should generate too much anguish. This, in most cases, is no more than a consequence of living in a society full of demands, and that demands a lot of speed. However, suffering from this disorder in excess should alert you. If a headache exceeds 48 hours and does not disappear with the techniques mentioned previously, it is imperative to see the doctor. However, natural remedies will be of great help in any case that comes your way. « How to lose Weight & Belly Fat with Ayurveda?